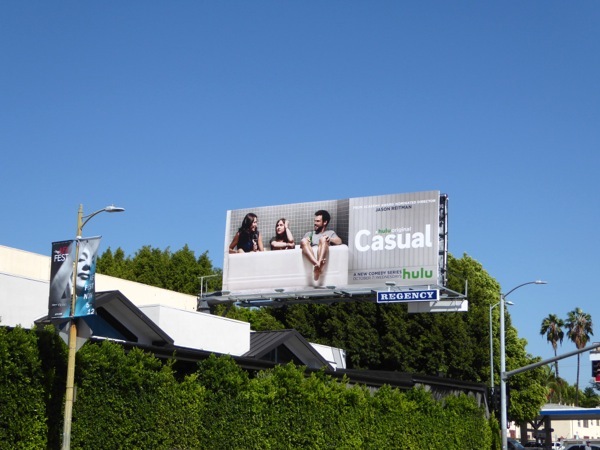 Even though Hulu's original comedy Casual has been streaming since October, its profile has been raised in this past week due to its Golden Globe nomination for Best Television Series - Musical or Comedy. 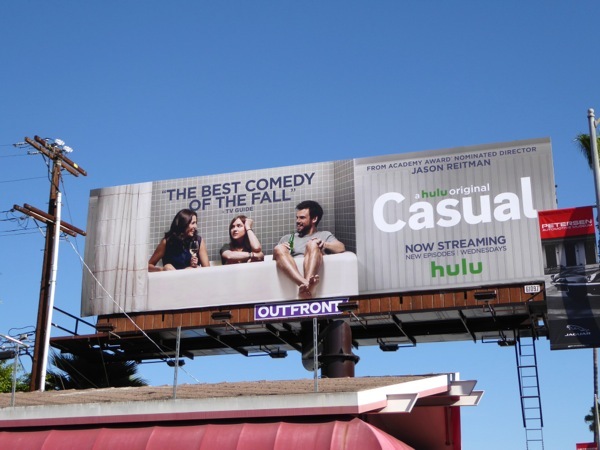 The acclaimed new comedy stars Michaela Watkins and Tommy Dewey as a recently divorced therapist living with her brother, the co-founder of his own popular dating site who can't make any relationship work, navigating the world of dating, whilst raising her teenage daughter (played by Tara Lynne Barr). 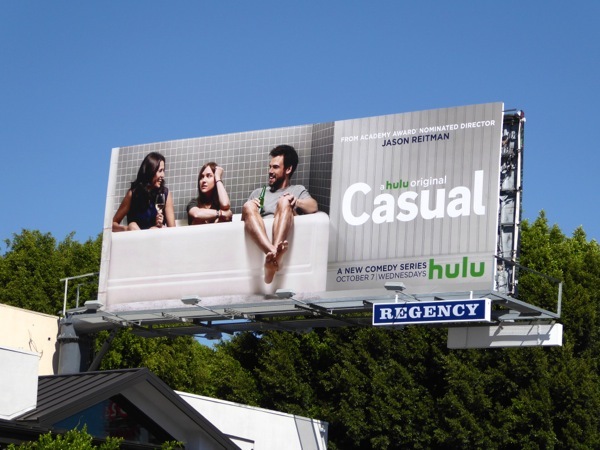 Created by Zander Lehmann, the first two episodes were given a boost by being directed by Jason Reitman, previously Oscar-nominated for the films Juno and Up in the Air. 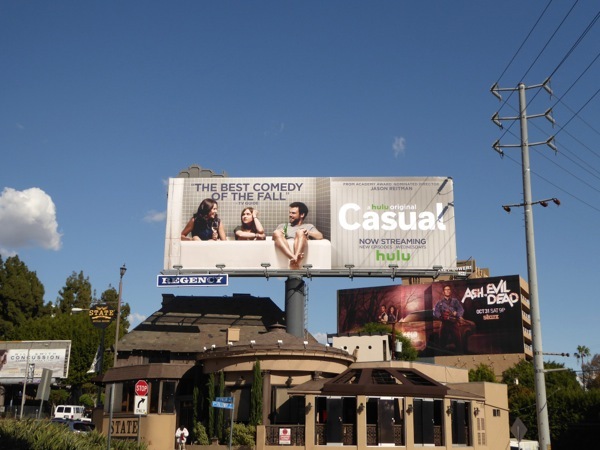 The series launch billboard was first spied along Sunset Boulevard in West Hollywood on October 2, then 'The best comedy of the Fall' versions were snapped in two further locations along Sunset Boulevard on November 27, 2015, obviously to garner Golden Globe nomination support. 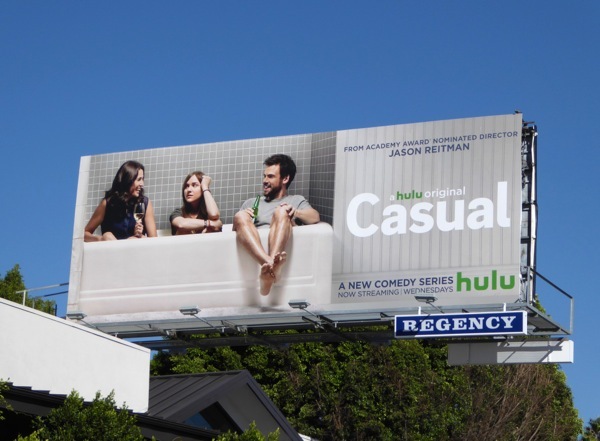 Let's see if this comedy (which takes place entirely in a bathtub, just kidding) can take TV by the Golden Globes in the New Year.